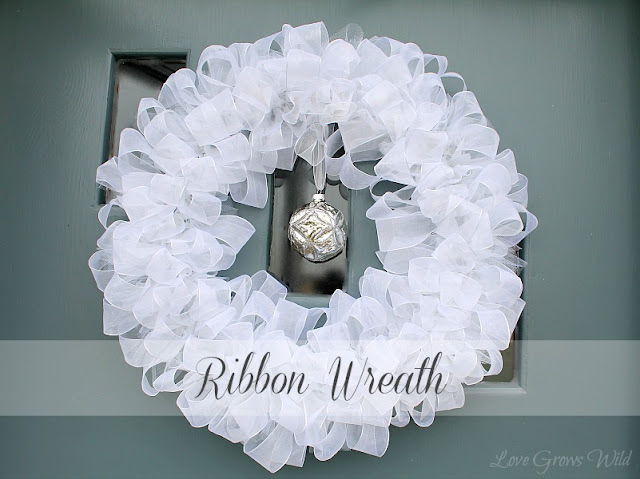 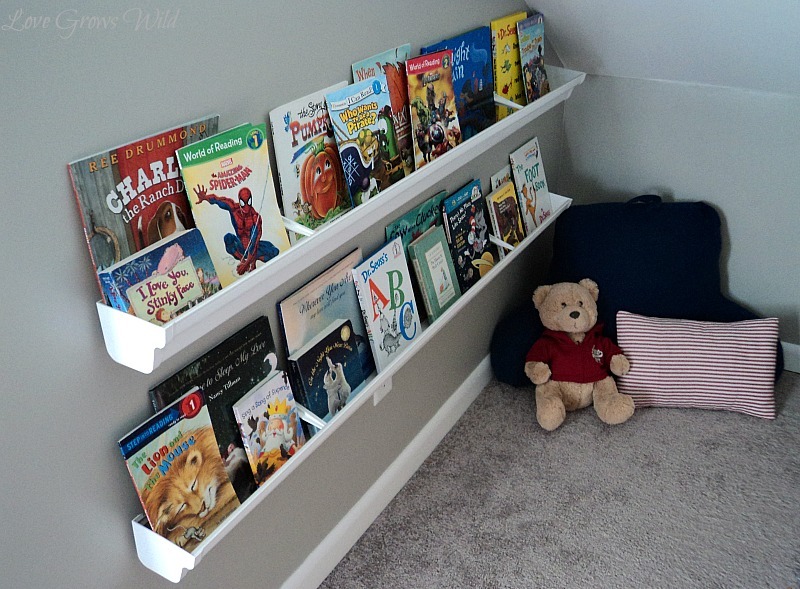 Hi Ginger Snap Craft readers!! 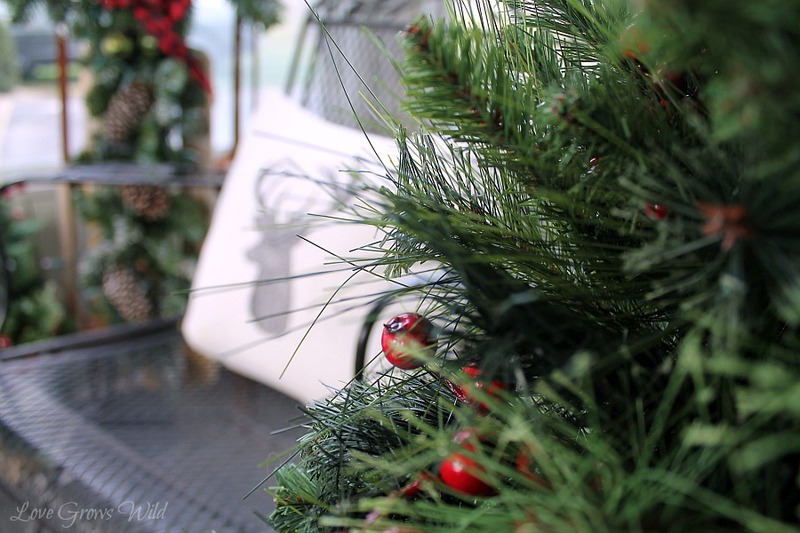 I am so excited to be spending my Christmas break here with you! 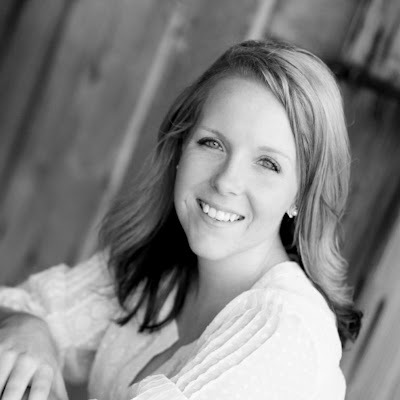 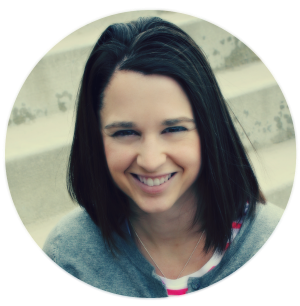 My name is Liz and I write the blog Love Grows Wild. 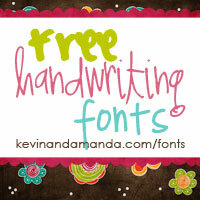 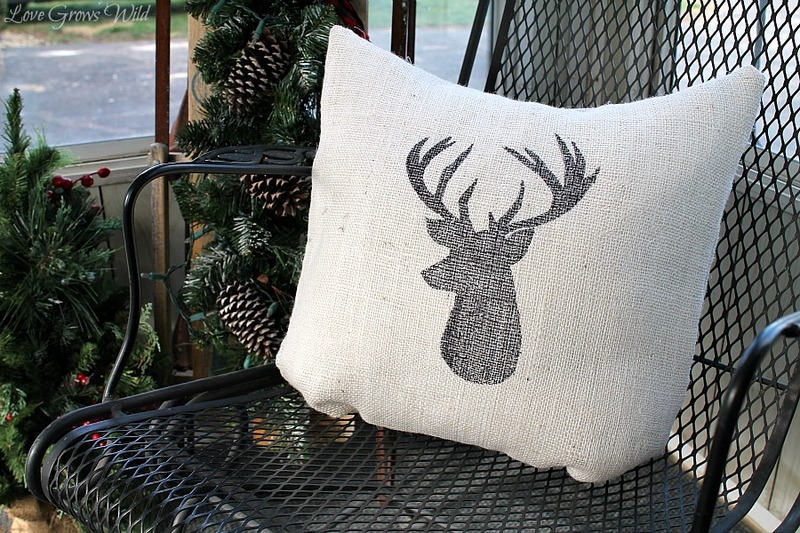 I am a wife and mother of two rough and tough little boys, and I have a passion for creating beautiful things. 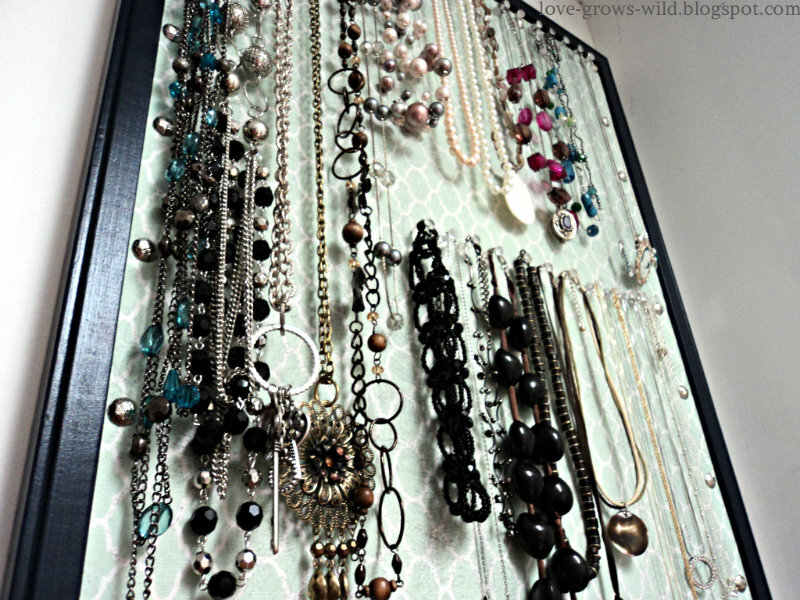 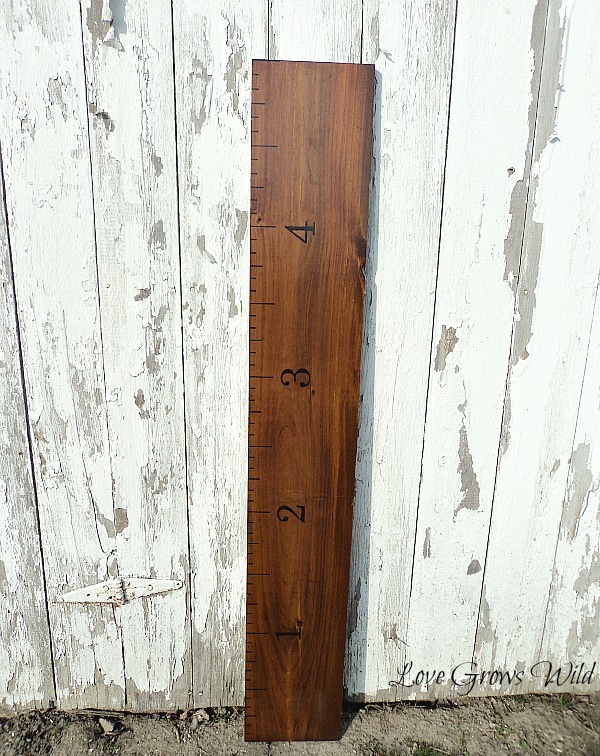 At Love Grows Wild I share my crafts, DIY projects, recipes, and organization tips, and I've always got a new project up my sleeve! I love making new friends, so stop by and say hi anytime! 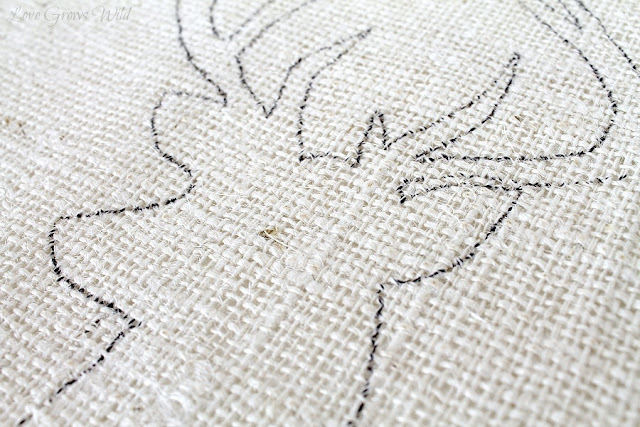 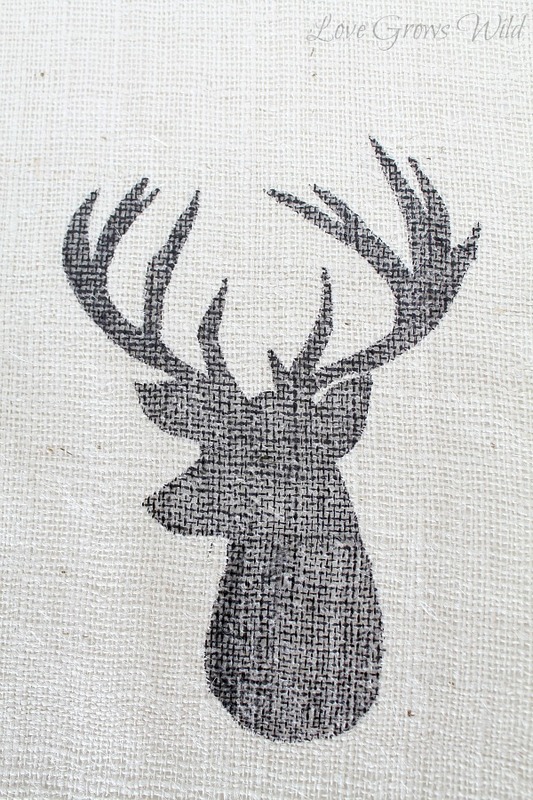 The project I have to share with you today combines two of my current obsessions: white burlap and deer silhouettes. I've seen deer motifs everywhere and have been wanting to add some to my home for the winter. 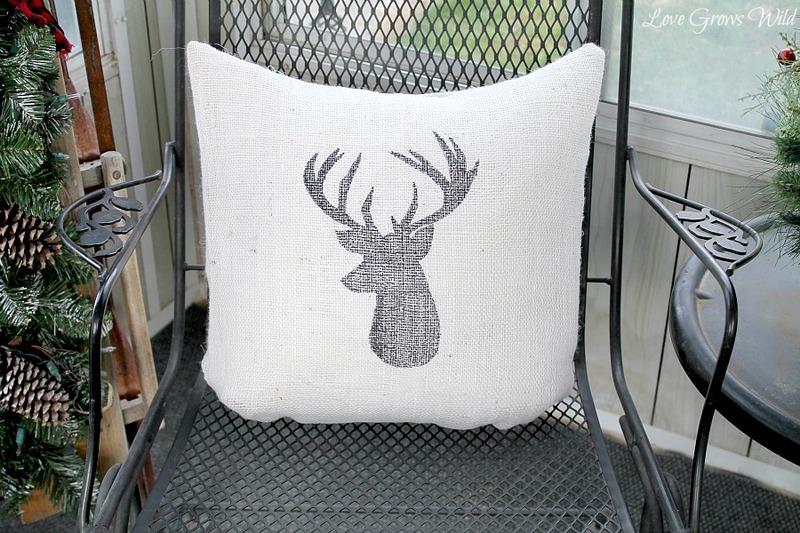 Being the crafty gal I am, I came up with this Burlap Deer Head Pillow! 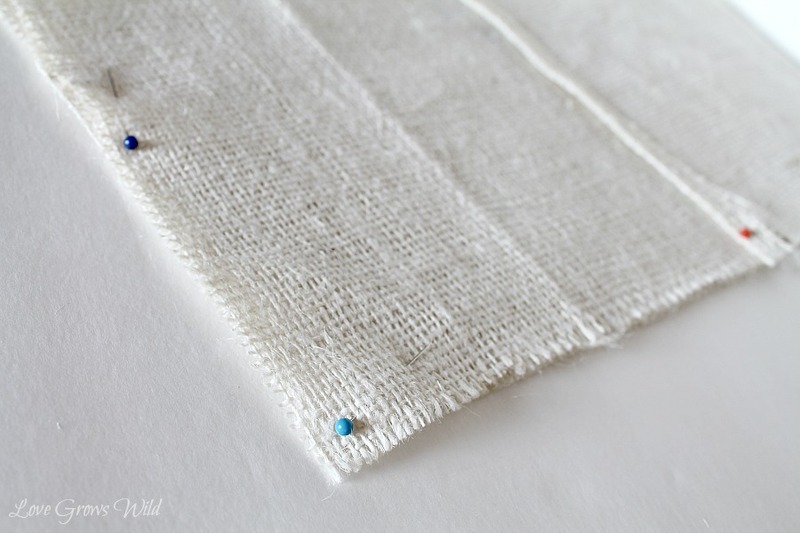 one - 18" x 18"
two - 18" x 14"
You can read my Envelope Pillow Cover tutorial for full details. 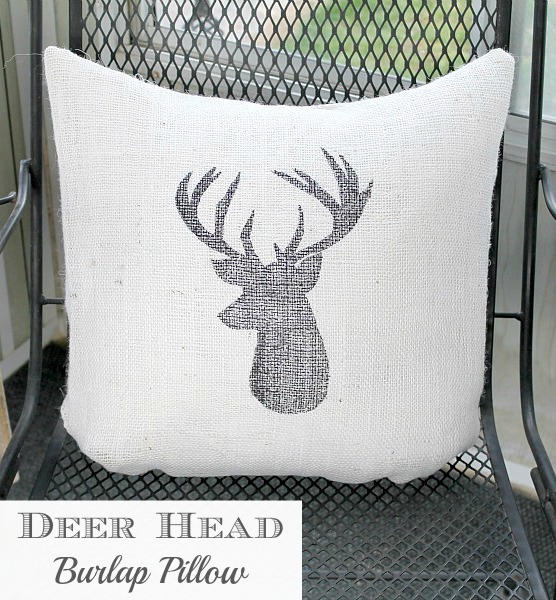 To transfer a deer image onto my pillow, I used the same technique as my Autumn Burlap Pillow. I found a deer head silhouette image on the computer (just type "deer silhouette" in Google images) and traced it onto a sheet of paper using a black Sharpie. I placed my 18 x 18 inch piece of burlap on top of my deer head outline, which I could still easily see underneath the burlap. 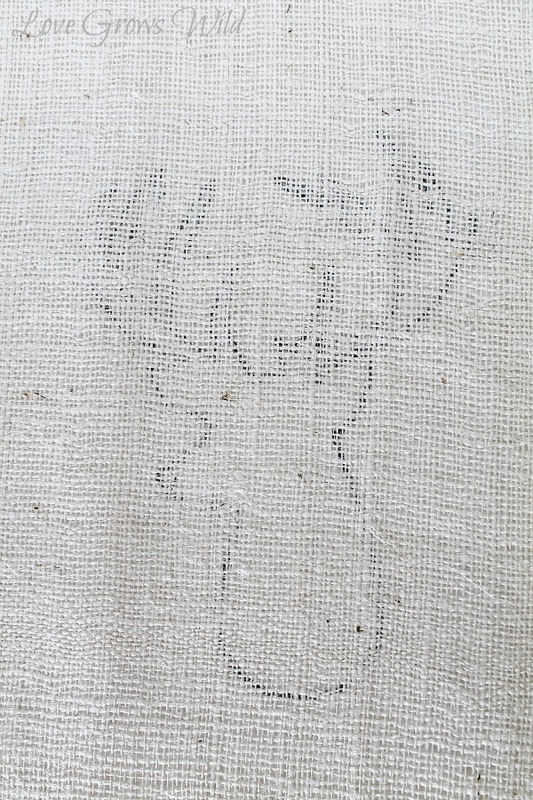 Then I used a black fine tip Sharpie to trace the outline of the deer head onto the burlap. 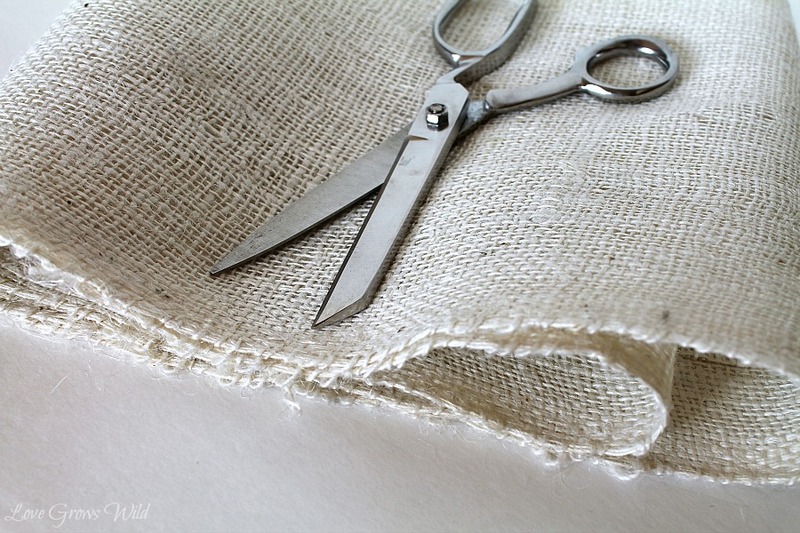 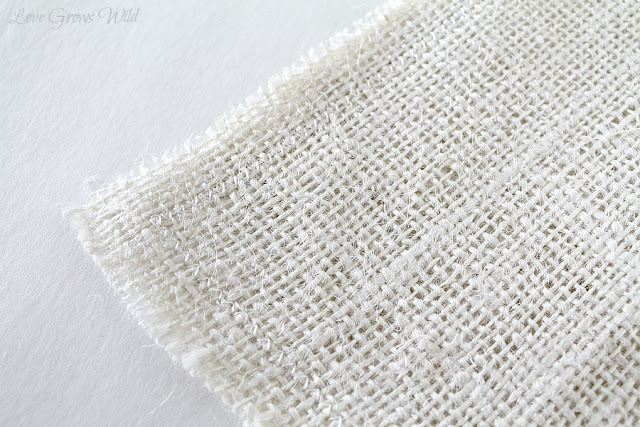 I find it easiest to use a dotting technique to mark on the burlap, rather than trying to draw across the burlap. 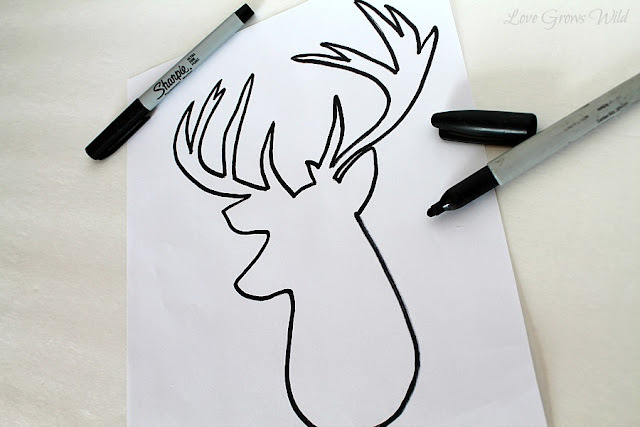 Once my outline was complete, I used a thicker tipped Sharpie to color in the deer head, again using the dotting technique. 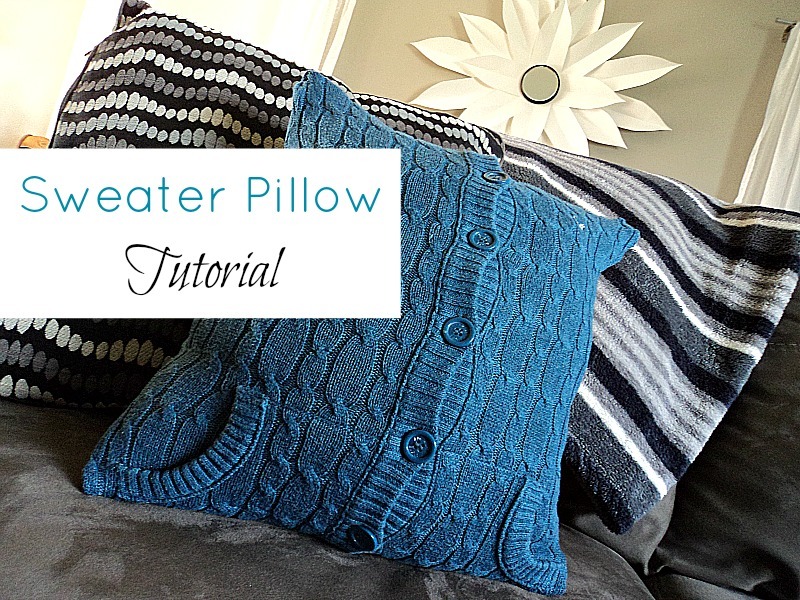 I sewed the pillow together using a zig zag stitch and turned the pillow right side out. 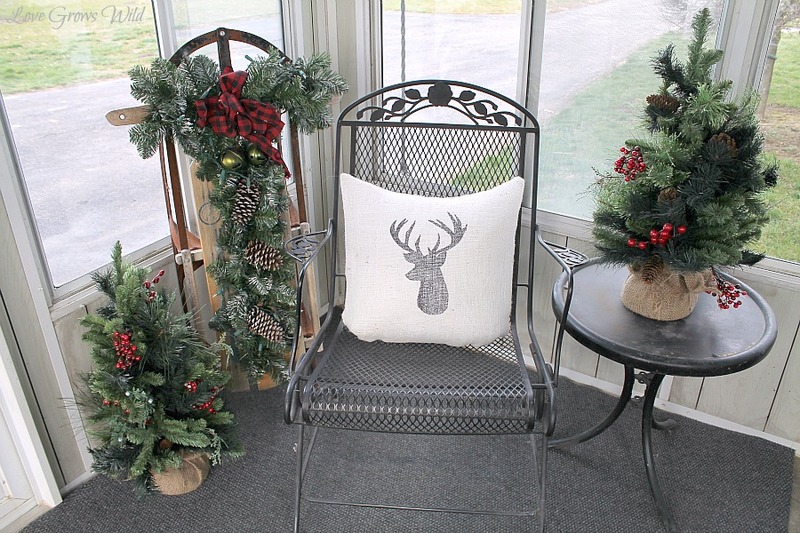 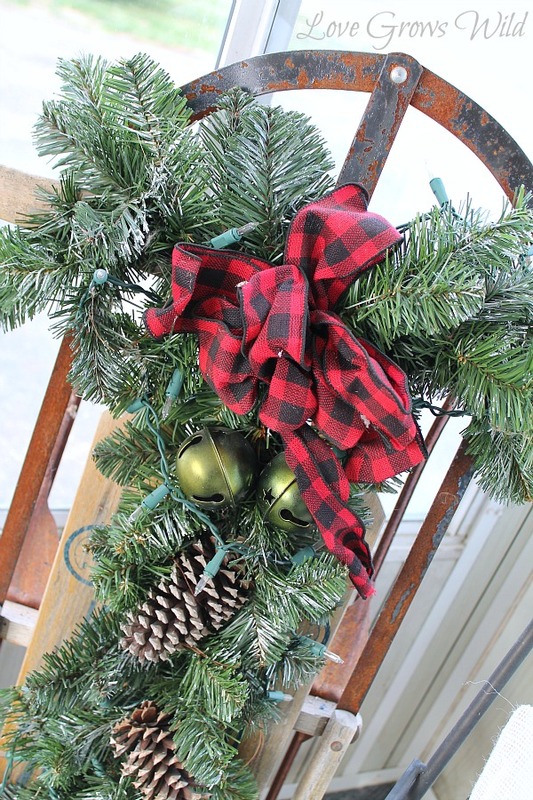 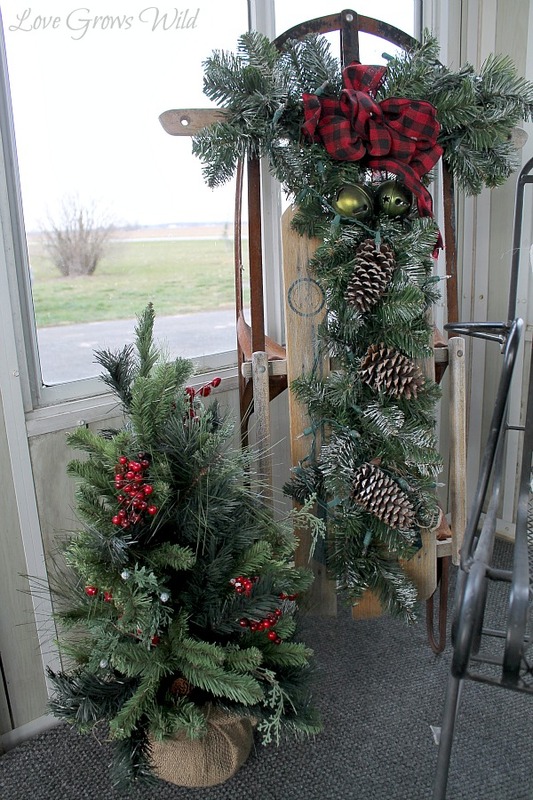 The inside of my house is decorated in very neutral colors, so I love adding pops of red in the breezeway during Christmas! 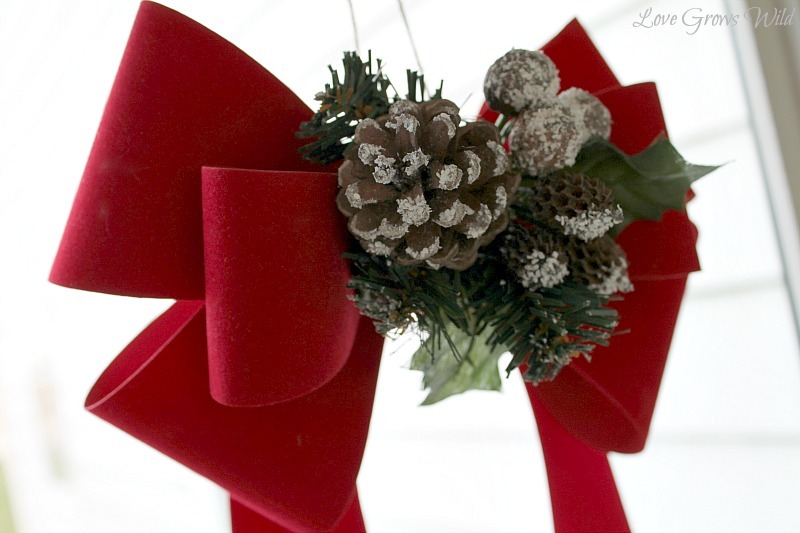 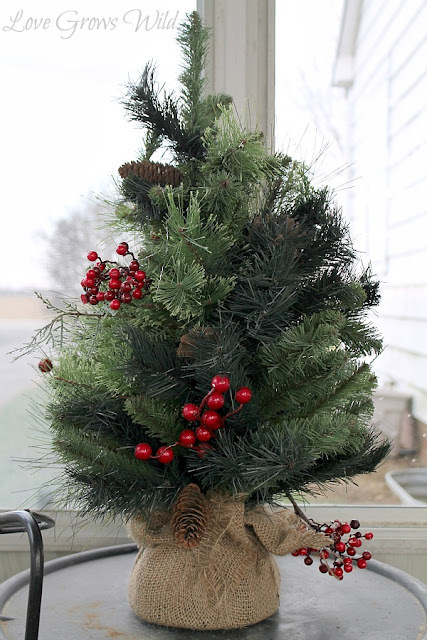 I purchased $2 red bows from Big Lots and dressed them up with floral picks from Hobby Lobby. 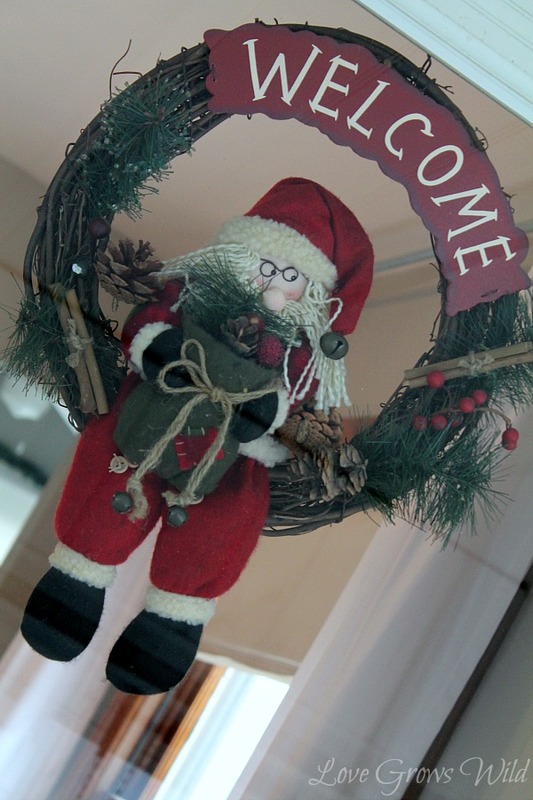 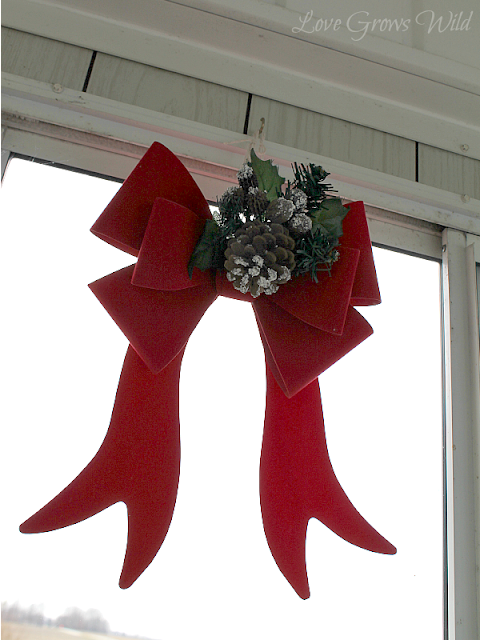 I hung one in each window of the breezeway. Even though this pillow goes perfectly with my Christmas decor, it's versatile enough that I can leave it up all year long! Thanks so much for hanging out with me today, and a BIG HUG to Ginger for having me! 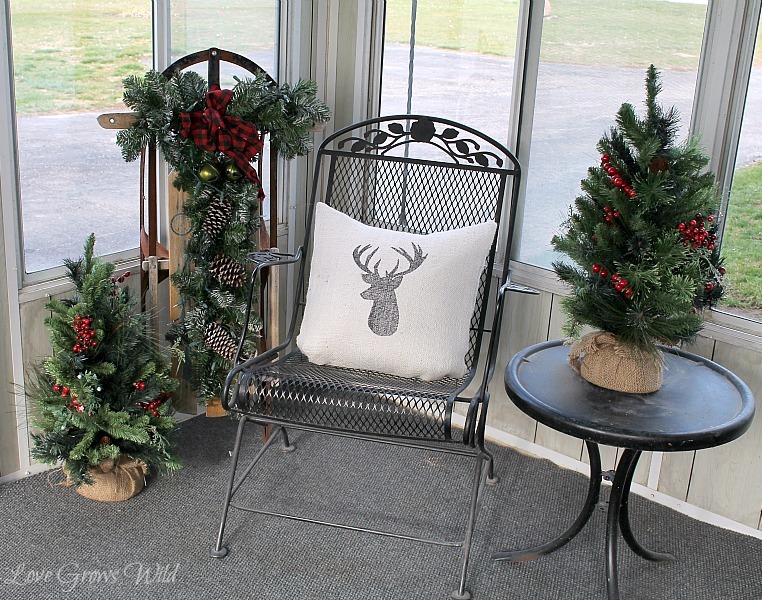 Stop by Love Grows Wild anytime and say hi!